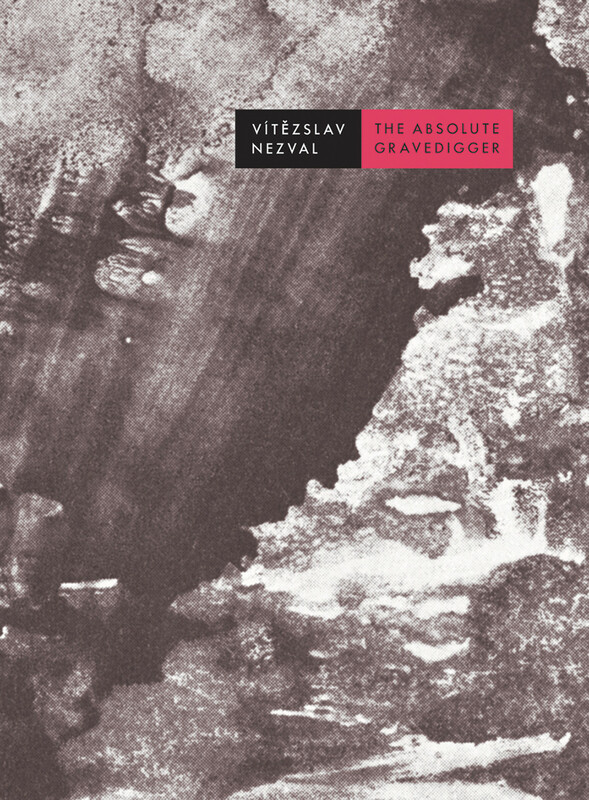 The Absolute Gravedigger, published in 1937, is in many ways the culmination of Vítězslav Nezval’s work as an avant-garde poet, combining the Poetism of his earlier work and his turn to Surrealism in the 1930s with his political concerns in the years leading up to World War II. It is above all a collection of startling verbal and visual inventiveness. The Absolute Gravedigger, published in 1937, is in many ways the culmination of Vítězslav Nezval’s work as an avant-garde poet, combining the Poetism of his earlier work and his turn to Surrealism in the 1930s with his political concerns in the years leading up to World War II. It is above all a collection of startling verbal and visual inventiveness. And while a number of salient political issues emerge from the Surrealist ommatidia, Nezval’s imagination here is completely free-wheeling and untethered to any specific locale as he displays mastery of a variety of forms, from long-limbed imaginative free verse narratives to short, formally rhymed meditations in quatrains, to prose and even visual art (the volume includes six of his decalcomania images). Together with his previous two collections, The Absolute Gravedigger forms one of the most important corpora of interwar Surrealist poetry. Yet here Nezval’s wild albeit restrained mix of absolute freedom and formal perfection has shifted its focus to explore the darker imagery of putrefaction and entropy, the line breaks in the shorter lyric poems slicing the language into fragments that float in the mind with open-ended meaning and a multiplicity of readings. Inspired by Salvador Dalí’s paranoiac-critical method, the poems go in directions that are at first unimaginable but continue to evolve unexpectedly until they resolve or dissolve – like electron clouds, they have a form within which a seemingly chaotic energy reigns. Nezval’s language, however, is under absolute control, allowing him to reach into the polychromatic clouds of Surrealist uncertainty to form shapes we recognize, though never expected to see, to meld images and concepts into a constantly developing and dazzling kaleidoscope.